Love this one. Its small but so cute. 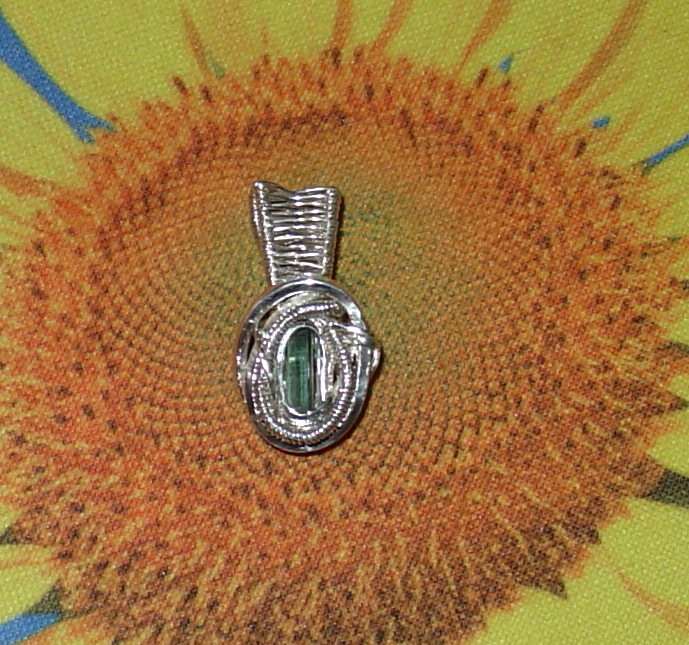 Its a lil green tourmaline wrapped in sterling silver. Its an inch long and 1/2 inch wide for sale .